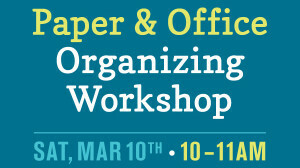 Paper & Office Organizing Workshop! 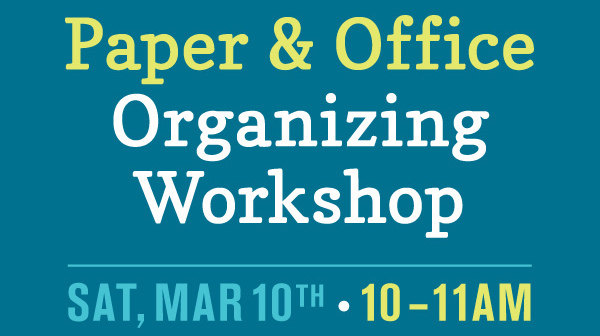 Join us at the Lynnwood Storables next Saturday, March 10th from 10-11am for a Paper & Office Organizing Workshop taught by CarlaRae. Space is limited and is filling up fast… click on the image above or call now to reserve your spot!